An indie band, The D/A Method, released its song The Desert Journey in 2016. What attracted more attention than the song was its music video. Its director Kamal Khan was lauded for pushing the form in a way few Pakistani directors had managed to in years. He had put together a single-take seven-minute-long shot of a shoot-out at a brothel in Karachi. All eyes were on what the film-maker would do next. 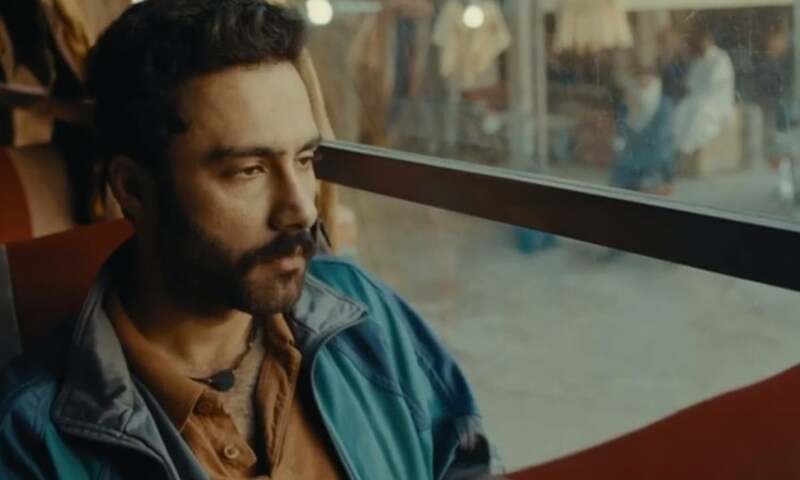 Khan’s debut feature film is now in theaters and it certainly lives up to expectations. Laal Kabootar is the story of Adeel (Akbar) and Aliya (Mansha), two Karachiites who live in very different worlds. Adeel is a taxi driver and a petty criminal who wants to go to Dubai in search of greener pastures. Aliya is the widow of a murdered journalist Noman Malik (Kazmi). Even when her mother tells her to travel to the United States with her, Aliya chooses to stay in Karachi to avenge her husband’s murder. Like The D/A Method video, Laal Kabootar also shows the dark side of Karachi. This is nothing new. Many artists and writers have used the city as their muse. Khan, however, explores its contradictions in a way few have on celluloid. The film starts with a dateline: ‘Karachi, Pakistan’. We then see a traffic jam caused by an argument between two drivers. Many bystanders gather around them. Aliya and Noman are shown sitting inside their air-conditioned car while the argument outside is getting heated. With car windows rolled up, they are listening to Hasan Jahangir’s song Hawa Hawa. Moments later a bullet makes its way inside the young couple’s car and, within a few seconds, the ugliness from the outside bursts their cloistered bubble of happiness. The song continues to play as the mood of the scene changes from happy to sombre. The use of the song is just one example of the film’s top-notch soundtrack and scoring. Its score by Daniyal Hyatt – as well as its sleek editing – play a major role in making Laal Kabootar a stylish film. The music beautifully accentuates the dark scenes. Songs like Jugart by Taha Malik are also full of references that anyone familiar with the city would enjoy. Jugart, of course, refers to jugar, the art of getting by in a city like Karachi. Every visual in the film seems to be for a reason. While showing the opening melee on the road, for instance, the camera momentarily focuses on a boy whose T-shirt reads ‘New York’. This wardrobe choice could be accidental. Maybe one of the extras just happened to be wearing the shirt without the director’s knowledge. 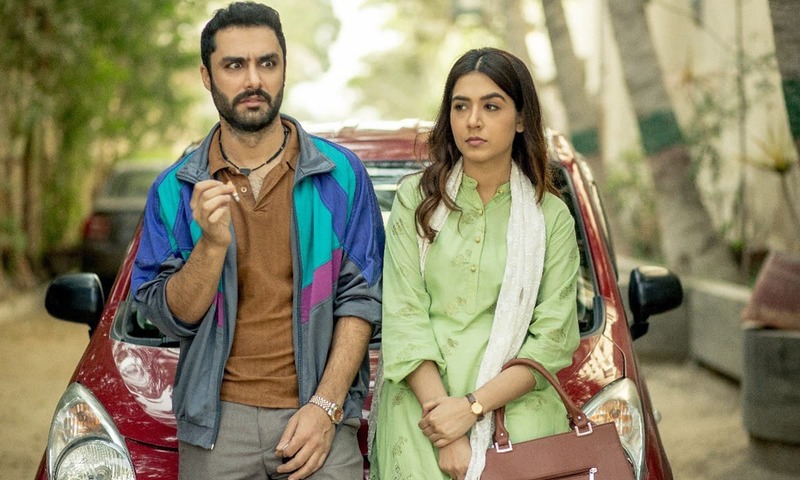 But with the kind of attention to detail that is evident in every aspect of the film, one is tempted to think that this visual is meant to set the stage for Laal Kabootar’s central struggle: a relentless metropolis where average citizens are always dreaming of moving to another part of the world. Both in this theme and in some other ways, Laal Kabootar is to Karachi what Zinda Bhaag was to Lahore. The latter film, released in 2013, managed to capture Lahore in a way that was both cinematic and also very realistic. Khan achieves the same balance. But while many aspects of Zinda Bhaag were very clearly rooted in the tradition of Lollywood, Laal Kabootar seems to take inspiration from western cinema. The end product is a film that is not just uniquely Pakistani but is also equally fit to be consumed by a global audience. The film’s mostly young cast pleasantly surprises the viewer. 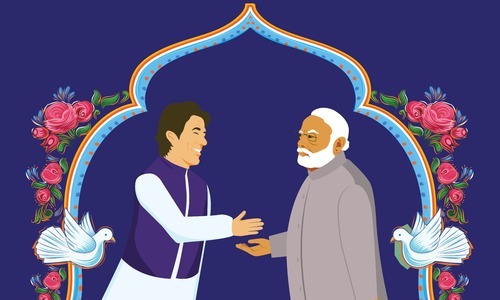 Akbar does a great job capturing the desperation of a young man trying to run away to Dubai. Similarly, Mansha does her part justice too. The supporting cast, most of whom play thieves and other shady characters, also leave a big impression despite the limited screen time allotted to them. But, while young actors do a fine job essaying their roles, it is veteran actor Rashid Farooqi who truly steals the show as a police inspector. He is given a nuanced role and he runs with it, making the audience hate him as a corrupt police officer but also empathise with him as a family man trying to provide a good life for his young daughter. He has some of the film’s most emotive scenes to his credit but he also provides some of its rare moments of comic relief. Other comical moments are in the subtext of the film, some of which are not even intended. For instance, posters of Bollywood actresses, like Rani Mukerji, are a running motif in the movie. They appear in the rooms of multiple characters. It is amusing to see these images on screen at a time when Pakistan has banned Indian films. 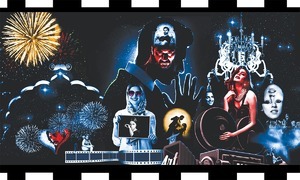 Laal Kabootar works because it breaks the conventions of Pakistani cinema. Aliya and Adeel, the hero and heroine (if we can call them that), do not fall in love with each other. The film-makers do not shy away from generously using expletives — a choice that will surely alienate some audience members. The film also does not drag on for three hours and does not have an interval. And, unlike most films about crime in South Asian cities, Laal Kabootar does not feature an ‘item song’. Like the city that it is set in, Laal Kabootar plays by its own rules — and does so remarkably well. Wow, what a review!!! Don't know why have they not released it in UAE. After reading so many brilliant reviews, would love to watch it here in Dubai at cinema only. Zabardast movie without a doubt ! A must watch. This movie looks like a must watch. Thank you for a helpful review. @Syed irfan ali This film although not a box-office money maker is getting great reviews because it sets itself out of the box, without the ROM-COM repeated to ad nausea sounding like nothing happens in Pakistan except dating...crazy marriage setups then most of the film is "item numbers & wedding dances" this turns on some of the movie crowds but it become old soon. Our film makers need to think outside the box tell stories that make people cringe and think, make actors crawl out of their comfortable skins stop using designer clothing to product place for their friends and we the move fans need to support these brave souls!